A small suite comprising a two seater sofa and an armchair. 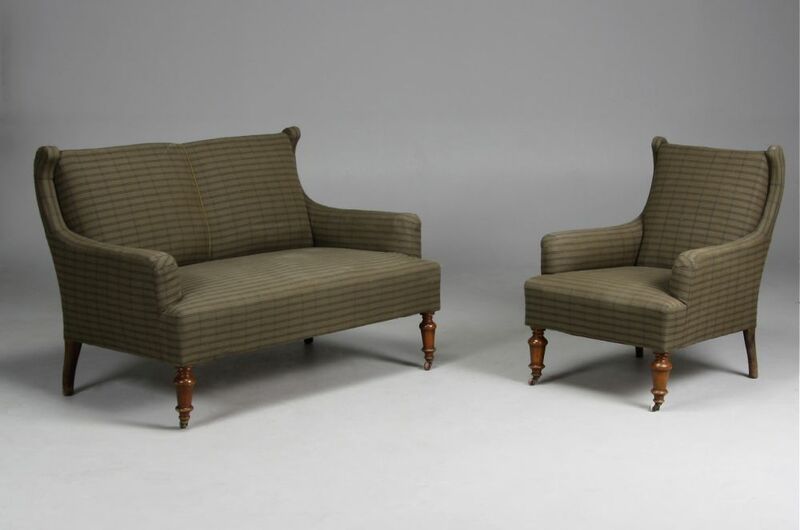 Late 19th century, probably reupholstered recently, coil springs in very good firm condition. Sofa is 51 inches wide, 33 inches deep and 34 inches high, the chair is 25½ inches wide. The seat is at 17 inches.